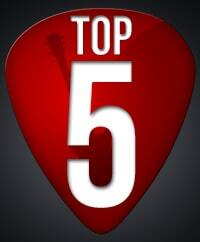 Hey guys, welcome to this month's roundup of the most popular lessons on TheGuitarLesson.com. As you've probably come to expect, every month, I dig through the viewership statistics of my site, looking for trends, and also what you guys have been watching and learning the most. Once I see the most popular lessons of the month, I publish them in a post just like this one 🙂 Why? To motivate you to learn the songs that your peers are learning. You are not alone, there are a lot of guitar students out there, pushing forward, every day. Get your guitar, have a look at what my other students have been working on in the month of March, and learn these songs as well! This super energetic song is a must for anybody starting out on the guitar. Never mind whether you play acoustic or electric! This song will really help you develop your alternate plucking skills, as well as jumping in between strings. This songs consistently scores very high in popularity on the site, lots of beginner electric guitarists choose to learn this song. 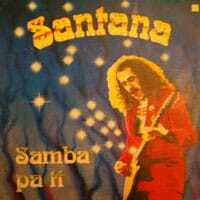 The music of Santana never gets old, make sure you learn it of you are into the electric guitar. Chuck Berry shaped modern music as we know it. Enough said. Learn this song, and read about his life, he is a music legend after all. I can't really recall a month, where this Spanish guitar lesson wasn't at the top of the list of the 5 most popular guitar songs. It is really a staple of this series of posts, for good reason. It is a really cool lesson, since what you'll learn is pretty easy, but sounds pretty complicated. Do you want to amaze someone with your new found guitar knowledge? Learn this song! All right, this concludes the top 5 list. Are you as pumped as I am to start playing?